Welcome to my essays and poems about music and sailing. Ever since I was a little boy I have been fascinated by sailing boats. I always wanted to be a sailor, never realizing the age of sail had long gone. I found pleasure in drawing three- and four-masters running on high seas under all sail, imagining I was the captain at the wheel. 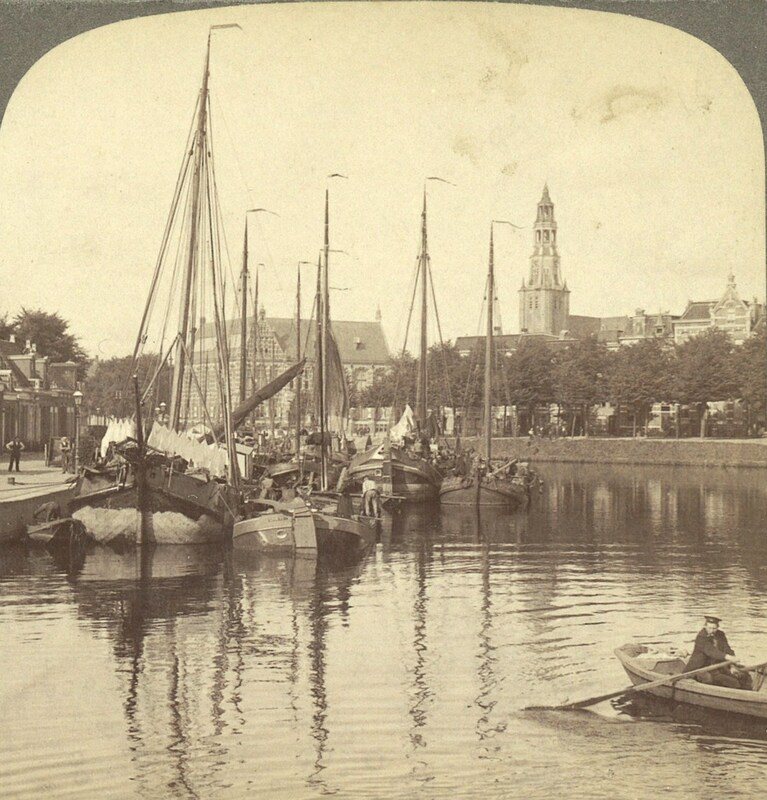 When it came to real sailing I looked forward to the annual fair in my birth city of Groningen. There always would be a merry-go-round with tiny boats really floating on water. The trick was to pull a feather tail off a beach ball bouncing around which, if successful, earned you a free ride. I loved it! Of course this was no real sailing. 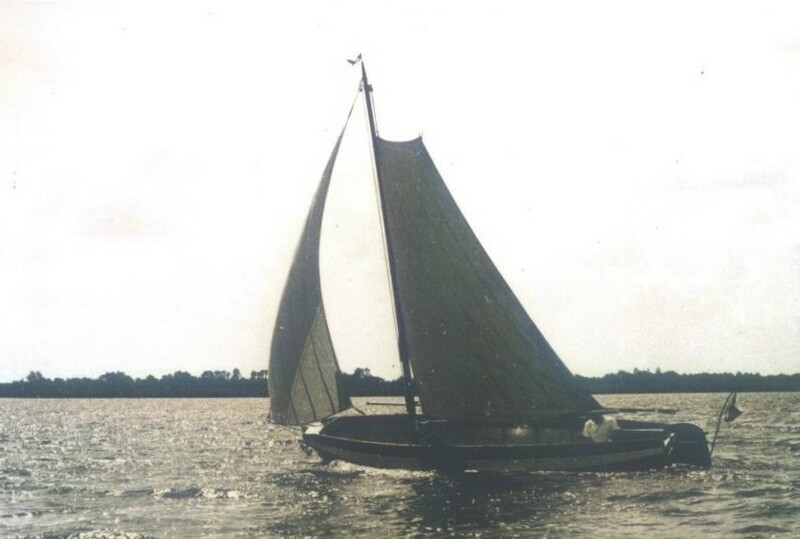 For 46 years my father’s pride and joy was a 1930 built spritsail punt that I was practically born into. Our family used to spend the summer holidays in the lake district of Friesland, camping in a little cottage on a farmer’s yard. Later on, the boat itself was our floating mobile home across the lake district during trips that would take several weeks, prevailing wind and weather determining our way. As I grew up I went to sea during my holidays, not on a ship of my own but mustering on board charter vessels. The first of these trips took me along the full length of the Friesian islands, at the end of which I was surprised to be invited by the skipper to take part in a race weekend. A few years later I was on the two-masted schooner Eendracht during the Tall Ships Race, followed by Southampton-Cork on board Johanna Lucretia. This was the point of no return. My childhood dream did come true in a way when I made two trips on the Norwegian fullrigger Sørlandet, standing at the wheel as rhe ship made a good 10 knots across the North Sea under all 20 sails. 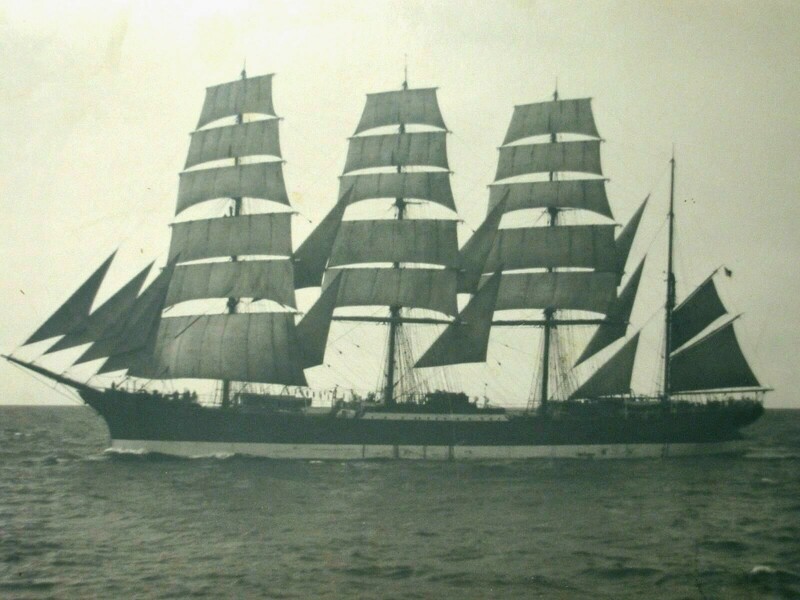 I also happened to meet an old salt from Cuxhaven, Germany, who used to sail for a living as a young boy on some of the windjammers I had dreamed of for so long, the big sailing freight carriers braving Cape Horn snorters to bring home nitrate from Chile or grain from Australia. This man really had a story to tell! He used to point out that life on ‘our’ ship could not possibly compare to the P-liner Priwall, when you would wake up in the dead of night to a call for all hands on deck because a gale was blowing and there was something wrong way up aloft. Regardless of snow squalls you would enter up without delay while all of the 100m long vessel would toss and turn madly so you needed one hand for the ship and one hand for yourself to clear up the mess. My musical awareness arose later than my love for sailing. In our family archive there is a sound recording featuring me as an infant singing lullabies on my mother’s lap, surrounded by my father and three brothers. I certainly had no Voce Particolare (yet). I have always been fascinated by birdsong. I used to keep a record of feathered singers in the garden, my maximum score amounting to 37 different species common and rare. I took up singing in 1975 when a new church choir was formed. Our conductor inspired us to a certain degree of discipline so we could perform some polyphony. One of my friends at school was a keen classsical pianist who went on to study at the conservatory; later on he moved to Paris to study with an internationally renowned teacher. Sadly I lost track of him since. The aforementioned choir leader urged me on to take up private singing lessons. In 1983 I became a pupil of a teacher in Groningen who conducted a choir of his own in which I would do some solo work. The ensemble did not choose the easiest works to perform. Rehearsals were like additional singing lessons. We used to sing all kinds of pieces from every day and age, arranging weekend rehearsal sessions to raise our performance level. During my private lessons I practiced my soli. We used to divide the choir into smaller groups every now and then to perform part songs. Our concerts mainly took place in the city but occasionally we went to venues around Groningen. 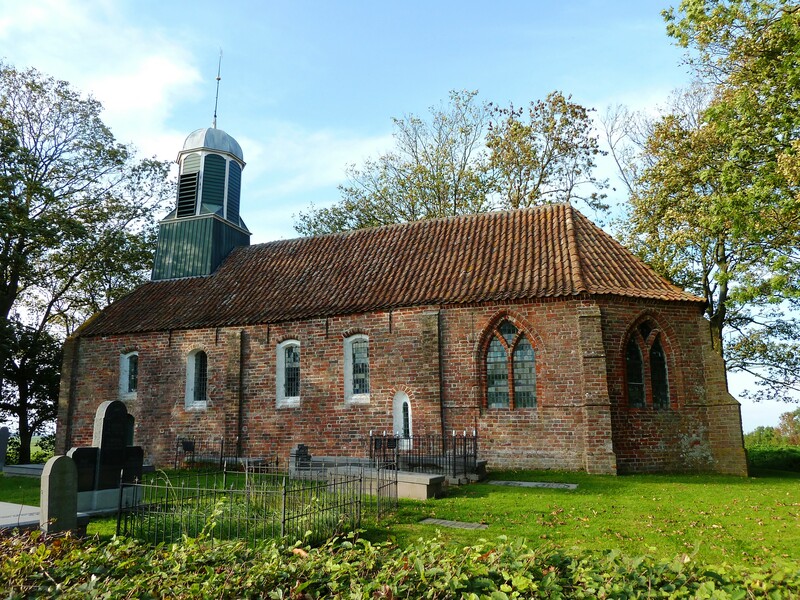 I remember a very intimate spring time concert in Fransum which is a tiny hamlet of three farms and a 13th century church barely matching a living room, yet boasting perfect acoustics. Just to get there is an adventure in itself. Groningen’s countryside is very beautiful in spring when you drive from one village to another down narrow winding roads amidst golden fields of rapeseed. I will never forget a sunset I witnessed there, the horizon dotted with bushes surrounding little churches where historic organs could be found. This region is called the organ garden by those in the know. 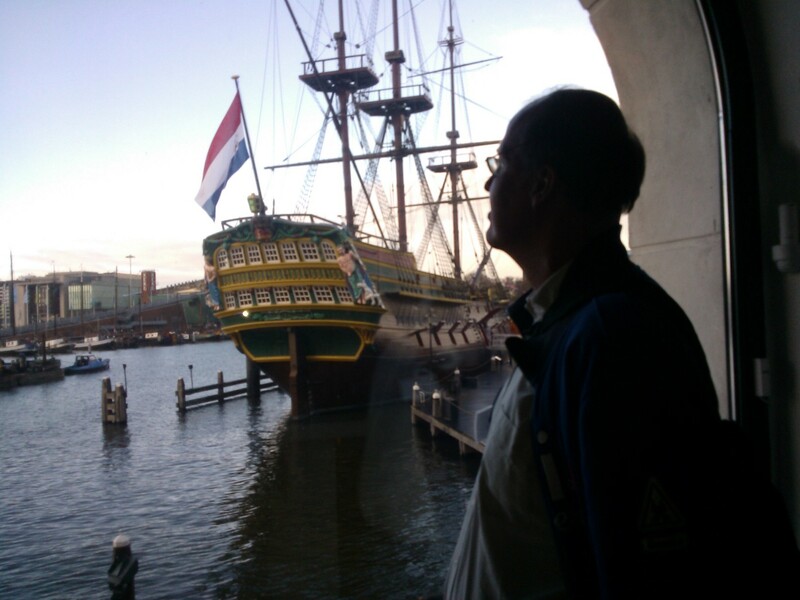 Sailing ships and music are subjects of interest I can be totally absorbed in. Yet I sometimes wonder just why they are so fascinating. After all, there is quite a contrast between them. Sailing on one hand means you have to pull ropes and face gales, you may not see any dry land for days on end and have to dodge shoals as the ebb tide roars madly between the rocks. On the other hand, as a musician you try to shape a decent melody, to capture the message of a text while searching for the delicate balance between individual voices or instruments that can make or break your performance. Are there any parallels between these two worlds? The sea flows like music; music flows like the sea. This is a little philosophy of mine which I think adequately captures the idea. Earlier on I mentioned my childhood dream coming true at the fullrigger’s wheel. I still remember how I managed to keep the ship on course as she was leaning over to starboard, the helm requiring only slight correction, the compass steadily showing the course plotted. 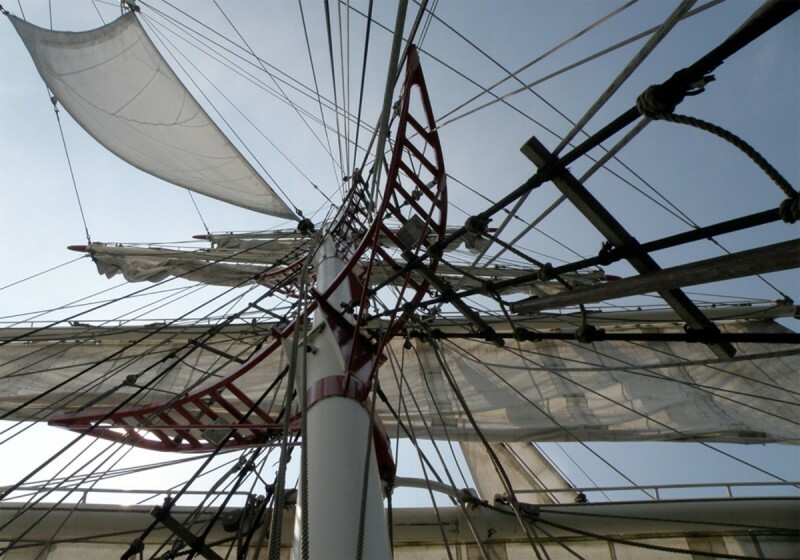 Force 5 hushed through the rigging as if it were a pine forest. The waves seemed to settle to the ship’s movements instead of the other way round. I felt like merging with the 66m long hull, three towering masts and 1500 m2 of canvas. Moreover, the ship seemed to become one with Creation as all of the sea, the wind, the sun, the clouds and the sea birds were framed in timelessness, ringed by the flat horizon. By comparison, imagine the village church of Loppersum, Groningen. The choral concert features music by Orlando di Lasso (1532-1594). The audience is all ears. Faint, indefinite voices seem to come from afar, bringing the ceiling and wall artwork to life as the sound volume builds. It is hard to define a leading melody as the individual parts are perfectly balanced, melting together as one. Blocks of sound almost seem palpable as rays of golden melody swirl around the pillars. Just as the final chord resounds, sunlight comes in by the stain glass windows and leaves everything and everyone struck with amazement. My love for story writing probably sprang from the regular letters I wrote to two brothers of mine as they went to sea. At school I used to be good at languages. I loved to write essays as long as I could let my imagination run free. Once I got a job at the town hall I was asked to introduce myself in a newsletter. It was the start of a sequence of fictional, comical, eventful essays about me and my colleagues. The stories featured here were triggered by Dutch publishers Scribo Mare. They put a special page on their web site for amateur marine authors to publish their work. Being a keen freelance artist, my brother Bob is more than welcome to provide some fine artwork to go with it. Make your choice from the menu, and you could be surprised! I hope you will like what you find. Bob’s work may be seen here, and here, and here. Dit bericht werd geplaatst in Info & Extra en getagged met stories. Maak dit favoriet permalink. I love the way you write about sailing and music together here, and especially what you write here: “the ship seemed to become one with Creation as all of the sea, the wind, the sun, the clouds and the sea birds were framed in timelessness, ringed by the flat horizon.” When our family was sailing around the world in our little boat La Gitana, I often felt as if I was being rocked and sung to sleep lying in my bunk while underway. And on night watches especially, in the dark, I seemed surrounded by song–the song of the wind and waves and the sails and the ship, all playing in unison. Ships carry us away and so does music, each is a journey of sorts–you have to give yourself to each, allow it to carry you away, move in time and rhythm with them. There really are so many similarities. So glad you wrote this and led me here. Dit is op MARSocial Author Business Enhancement Poet's Post herblogd. Beautiful post, Peter. Do you know John Masefield’s books? They aren’t particularly well-known now, maybe even out of print, but if you haven’t already read Sard Harker and can get hold of it I’m sure you’d love it. Thank you Jane! I do know John Masefield’s Sea Fever, it’s one of my favourite poems. Check out my C Fever on this blog which I made as a musical counterpoint. I will look for Sard Harker. While we’re in nautical mode. This is a beautiful post from a sailor/poet. A heartfelt post, and interesting reflections on the interface in the mind of two worlds.